The Trader Joe’s stores began as convenience stores owned by Joe Coulombe in Pasadena, California, operating under the brand Pronto Markets. In 1967, some of his competitors were bought out by 7-eleven, and Joe decided to change the business model of his stores so as not to be in direct competition with them. 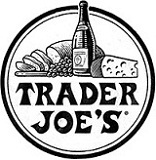 The stores were renamed Trader Joe’s (TJ). In 1978, Joe sold the business to the Albrecht family, who owned a large chain of retail stores in Germany. Today TJ boasts 270 stores located in 22 states and has earnings totaling more than five billion dollars a year. The decision to locate the stores is carefully calculated on the population density, the distribution channels and the educational level of the local population. Behind that decision is the belief that since the better educated consumers travel more frequently, and are exposed to greater varieties in foods, they are more likely to seek out the novel offerings of a store such as TJ. The TJ stores are generally about 15,000 sq foot, and their product offering is about one-fifth that of conventional supermarkets. The store stocks about 2,000 different items as opposed to a regular supermarket which carries 30,000. Brand names are not carried, so you would not find brand name sodas, beers or disposable diapers. You will however find only the low sudsing type of laundry detergent, which is the house brand that is biodegradable. The stores specialize in beverages and food products as well as healthcare items. High quality, low priced products are offered such as produce, ready to go foods, wine, cheeses, and ethnic foods which carries the TJ’s label seventy-five percent of the time. TJ’s products are one of a kind not found in other stores. The products reportedly contain, no trans-fat, no msg, no artificial colors and preservatives and flavors. In addition, on a wide variety of their products, labels are placed to indicate special qualities such as, low sodium – with less than 140 mg, gluten free, vegan quality – free of all animal products and by products, vegetarian, kosher, heart healthy, and the quick meals entrée consisting of combinations of more than 2 food groups which will be ready to eat after just fifteen minutes heating. The stores headquarters is located in Monrovia, California, and it is there that testing of the company’s new products occurs; a panel of employee tasters is on hand whenever the bell is rung for a new sample to be tasted. The TJ products cover a wide selection of items that are constantly changing to provide a sense of newness to its customers, since they are constantly being introduced to newer and different products, as many as 15 different new products in a single week. TJ strictly adheres to no genetically engineered ingredients in its TJ label products, and they will replace such products with better, healthier alternatives. The company will conduct random tests to identify genetically altered ingredients in its food offering. The company offers an interesting newsletter known as the Fearless Flyer, which provides lots of information on its products, including prices, and it mixes in a good bit of wit and many old -fashioned cartoons. The store also publicizes its products on the radio, using its employees, without special sound effects, with no specially trained actors, just delivering their low keyed ads on their many products. TJ prides itself in offering high quality products at lower prices than most supermarkets. Because of their everyday low price, the company has a strict policy of offering no discounts, membership cards or discount coupons.